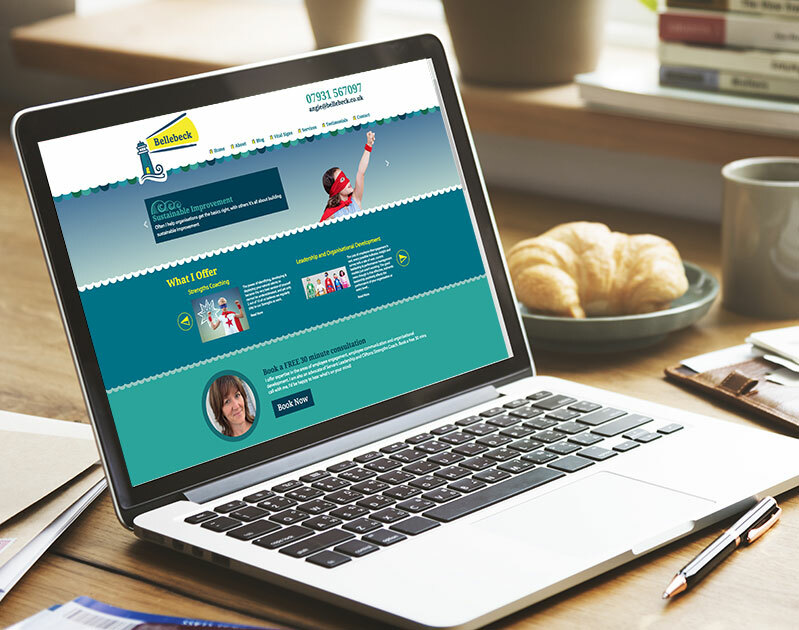 Base 8 Innovations built a bespoke fully responsive website for Bellebeck. It has various pages, one of which includes an interactive survey which allows the user to choose a value between 1 and 10 based on leadership questions. This information is then saved into a database and fed into a bespoke content management system (CMS) so that the admin can see the results and the user's information. This CMS also allows the editing of the text and images on each page as well as all of the sections of the homepage and a blog.